LONDON -- UK car production rose by 3.5 percent in October as an increase in demand from abroad outweighed a decline in output for domestic buyers, the Society of Motor Manufacturers and Traders (SMMT) said. 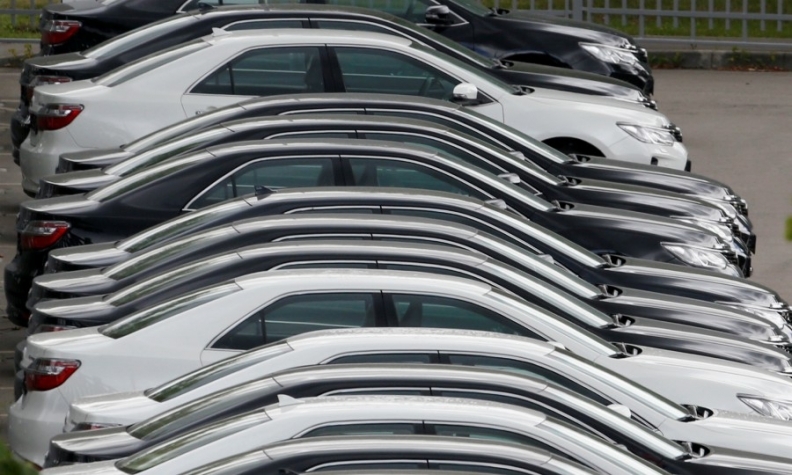 UK plants produced 157,056 cars last month, with exports rising 5 percent as domestic demand fell 2.9 percent, according to data from the SMMT published on Thursday. Through October, production slipped 1.6 percent to 1.41 million. Last year, UK production reached a 17-year high of 1.72 million cars and had been expected to rise strongly again this year and top the all-time record of 1.92 million vehicles by the end of the decade. But on Thursday, the SMMT said output would now only marginally rise to 1.73 million this year, according to an independent report it had commissioned. Output is being held back by model changes and falling domestic demand. "The latest independent UK forecast report is worrying news for the sector, predicting annual output which is, at best, static compared with last year," said SMMT CEO Mike Hawes. The SMMT remains concern that domestic sales, on course to fall this year for the first time since 2011, have been hit by weak consumer confidence since the Brexit vote and uncertainty over government plans to cut pollution. These factors are affecting output. "It's important that confidence is restored to the new car market," he said. "Sales of the latest cleaner, greener cars not only address air quality concerns but speed up activity on factory lines across the UK." On Wednesday, Britain said it would hike vehicle excise duty, a levy paid by British drivers, for the most polluting new diesel cars first registered starting in next April year. The move provided a further blow to the segment.